Add a vibrant pop of bold colours with this charming metal relief wall art of hot air balloons. 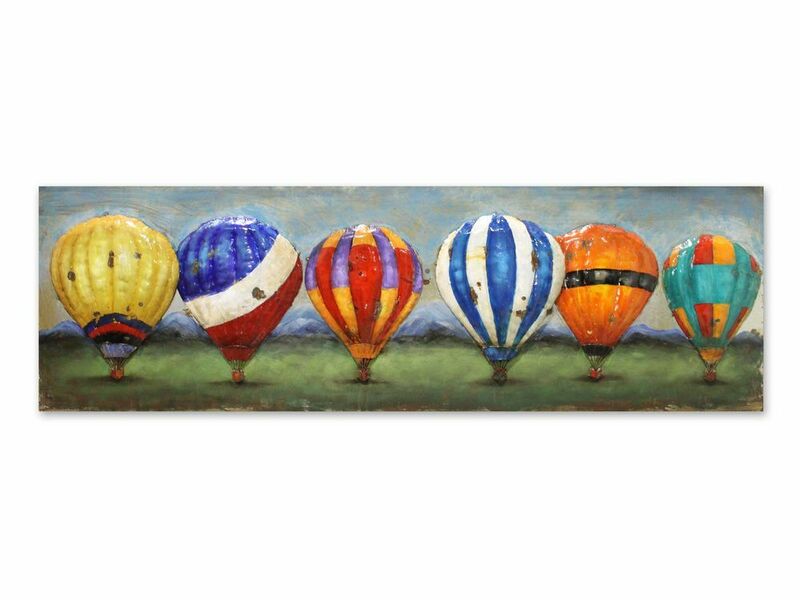 Showing 6 brightly coloured balloons lined up on the grass, with a striking view of mountains from behind, this wall hanging of hot air balloons oozes a feeling of expanse and freedom. The moody blue and grey skies and shadows cast on the ground, give this metal balloons wall art of tons of character. The balloons are inflated and ready to soar to the skies - a great present for adventurous spirits.